Every once in a while Rory gets a man-crush and all of us end up knowing absolutely everything about whomever artist is in question. This time around it's Arthur Russell, the notorious and so very talented New York artist who died prematurely in 1992. He experimented with a wide range of the music we today take for granted. This article, from The Daily Swarm, gives a good idea of the rich musical legacy he has left behind. This week we received the first and only biography written about Russell's life. It's chalk full of details and pictures. It chronicles his journey from his native Iowa to infamy within the downtown New York music community during the 70's, 80's and 90's. While we're on the topic of man-crushes, I want to talk about my favorite 80's downtown New York art star: Jean Michel Basquiat. (Here is an interview with him) We also have Basquiat's first and only biography, "A Quick Killing in Art," skillfully written by journalist Phoebe Hoban who left no stone unturned in her relentless search to find information and create a composite, and not always pretty, portrait of the most popular Black painter of the twentieth century. Here is a review that praises it and here is a review that destroys it. I think together they testify to the might of Basquiat's story and show the very types of contradictory reactions he, and his work, often garnered while he was alive. Finally, as long as we're visiting New York, we should really visit a tiny community we've all grown up with: the gang from Sesame Street. 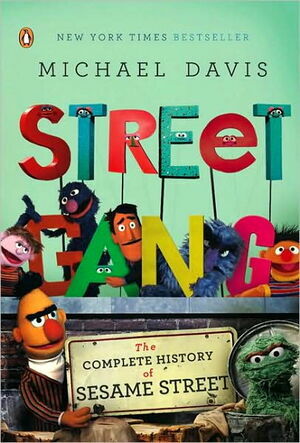 Michael Davis has written "Street Gang: The Complete History of Sesame Street" Sesame Street, though it has gone through many, many changes since the first episode in 1966, is still running strong! Davis does a thorough investigation and comes up with detailed information about everyone and anyone behind the scenes who participated in the production of one of North America's cultural staples.